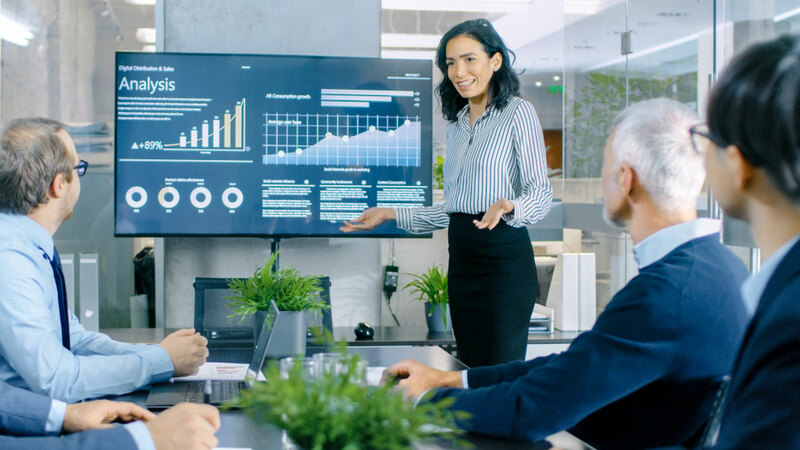 Well-planned commercial audio-visual systems improve communication and collaboration, break down barriers and empower teams to interact with ease and confidence regardless of location, time and distance. Encore’s end-to-end support (from planning and design through installation and ongoing maintenance and support), ensures what’s behind the scenes supports the changes you see. Our integrated systems not only balance best-in-class technology with easy-to-use features but are also aligned with your business needs and budget in mind. The most successful commercial audio-visual installations start with a vision for how they will enhance and improve your business environment. That’s why Encore helps companies match the right equipment with the way they work. Whether designing automated meeting spaces and telepresence rooms or implementing video conferencing with Crestron, full room high fidelity audio with Bi-Amp, emergency operations center displays with ViewSonic or digital signage messaging systems with 22 Mile, Encore can help you harness the power of AV in your space with flawless execution from our certified design team. Reach out to start the conversation. Reach out for consultation of your AV needs whether it is design, sales, installation or support. We’ve had the pleasure of working with Encore since May 2018 when they rose to the occasion after a disappointing long-term commitment with another AV company. Keith and Ryan were responsive and helpful every step of the way, making this installation one of my favorite experiences after working with many other AV companies. Since then, they’ve continued their high-level performance through several other installations. Because audio visual support is critical to successful presentations, our organization has stuck with Encore’s expertise. They’re not only highly talented at their craft, but working with them is a breeze.